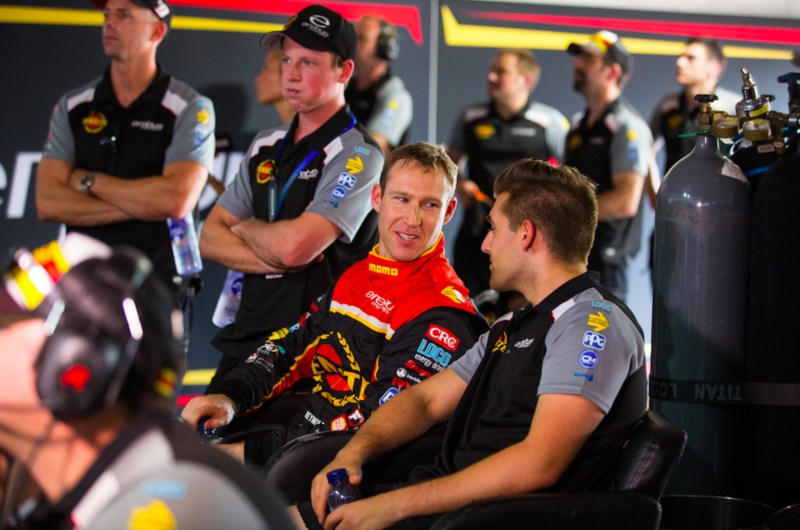 It’s been a couple of weeks break since the final round of the Pirtek Endurance Cup at the Gold Coast 600. I’m itching to get back behind the wheel and pick up some more Championship points! I really love this round – the Auckland SuperSprint. I love this track! The circuit length is 2.9kms in length and we reach 260km/hr up the main straight into turn 1. From turns 8 to 11, it’s flat out balls to the wall. It’s quite narrow through turns 11 – 10, and we go through at extremely high speeds – we’re doing around 220kms/hr over the front straight. Turn 1 is fifth gear at 210kms/hr, and it’s got a really rough approach, so your car is just bouncing around. It certainly is a cool track, with a lot of character! Back in the ‘old days’, they never used to have turns 6 + 7, so the track used to join between turns 5 to 8 and it was all just one long straight. We went from sixth gear, down to first gear. I tell you what, going at 280km/hr down to first gear – it was nuts! It’s still one of the coolest tracks you could race on. Before we raced on the Pukekohe track, I first started racing in NZ at the Hamilton Street Circuit, which started in 2008 and ran until about 2012. This was also a fun track. I love street tracks, they’re just ace! This round is the penultimate race of the Series; so points, points, points! We hit the track for the first practice session, Friday 2nd November at 9:15am. And as the New Zealanders say, “Kia Ora”.